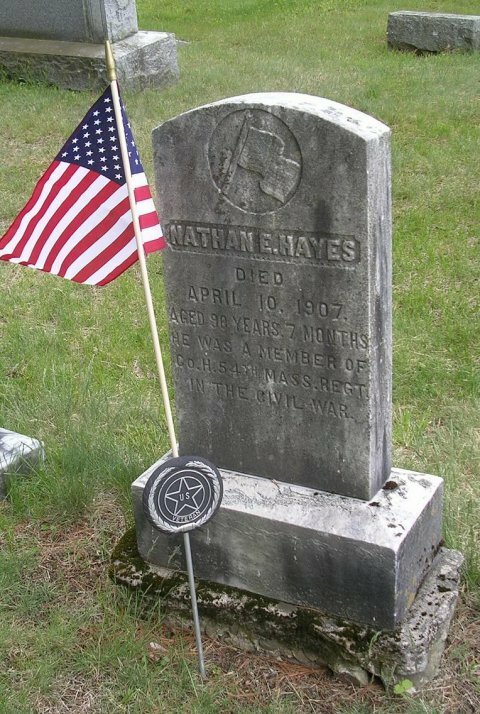 The body of Nathan E. Hayes, colored, formerly a resident of this city, who died at Worcester, Mass., last Wednesday, was brought to this city Saturday and buried in Evergreen cemetery. Mr. Hayes was 90 years old and had spent most of his life in this city. He was a veteran of the civil war. He is survived by one daughter, Mrs. M. T. Kent of Killington avenue.